Cultivate Learning has broadened our scope to include the ELO field. 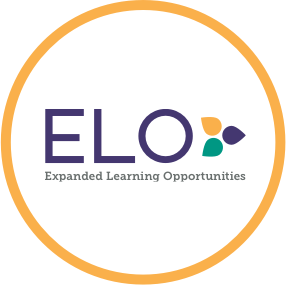 ELO provides a wide range of enrichment opportunities to school-age children and youth (ages 5-18). These programs operate during out-of-school time, during summers, and on weekends in diverse settings such as parks and recreation departments, youth centers, after-school programs, sports organizations, and community service programs. After almost twenty years of work in evaluation, system building, and professional development for early learning programs, it’s time that we expand our work to improving quality and equity, beyond early learning to youth as old as 18 years. Studies show that attendance and participation in ELO programs have been linked to numerous academic and non-academic gains, including increased school attendance and participation in class, better grades, reduced likelihood of substance abuse, and even better physical, social, and emotional development and well-being. Two-minute tips are quick, simple, research-based strategies for ELO professionals. The tips focus primarily on strategies for working directly with children and youth, but also cover tips for program leadership and self-care. Each tip contains a short introduction, links the strategy to research-based outcomes, provides short practice tips for implementation, and a video of the strategy in action. In Washington State, education policymakers have turned their attention to creating access and equity to quality ELO programs. The Early Start Act, among other directives called for a pilot of a Quality Rating and Improvement System (QRIS) for programs serving school-age children. In 2016, The Department of Early Learning launched the ELO Quality Initiative, whose ultimate goal is to build a high-quality, equitable, state-supported ELO system for Washington’s school-age children and youth. We developed and implemented a unique study design that captured both an understanding of the quality of existing programs and the impact of coaching on program improvement over a period of eight months. In year two, Cultivate Learning launched a second ELO study to refine our coaching impact, create new learning opportunities for the field, and engage youth voices in defining ELO quality.